The Bennington Pro is the next plateau above it’s lower wattage sibling the Bennington Reverb by offering more power, additional tone shaping controls and a footswitch enabled RAW mode. 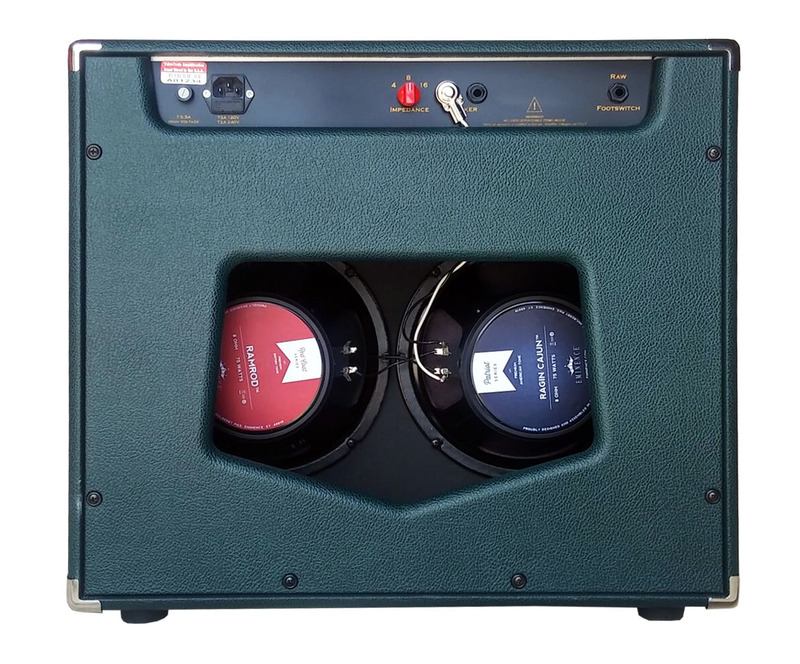 The Benny Pro boasts the ValveTrain voiced all tube spring reverb, point to point hand wiring and delivers a club and studio friendly 45 watts RMS and in the combo selected Eminence speakers. Inspired by the simplicity of the amp designs of the early 1960’s, the amp features three 12AX7 dual-triode preamp tubes driving the signal through an all tube spring reverb circuit and into a matched pair of 6L6GC power tubes. The controls are Volume, Bass, Middle, Treble, Reverb and the Governor. The Governor is a output power management control originally designed by Dennis Kager. ValveTrain is pleased to bring this control back to the market through a special arrangement with Dennis. The Governor can be completely switched out of the circuit enabling the full output from the power amp. Power reduction via the Governor is variable. The further the Governor is advanced the more the power is reduced. Once activated the Governor can variably tame the smoking 45 watts of dual 6L6GC power down to an apartment friendly 2 watts. The Bright switch enables a vibrant attack to each note without being overpowering. The RAW switch disables the tone controls and takes you from the early 60’s black face era and unleashes the raw edge of the late 50’s vintage tweed territory. The Bennington Pro delivers a varied tonal spectrum from shimmering cleans through vintage crunch. A quick flick of the guitar volume knob controls the full range of the Bennington Pro’s warm voice. 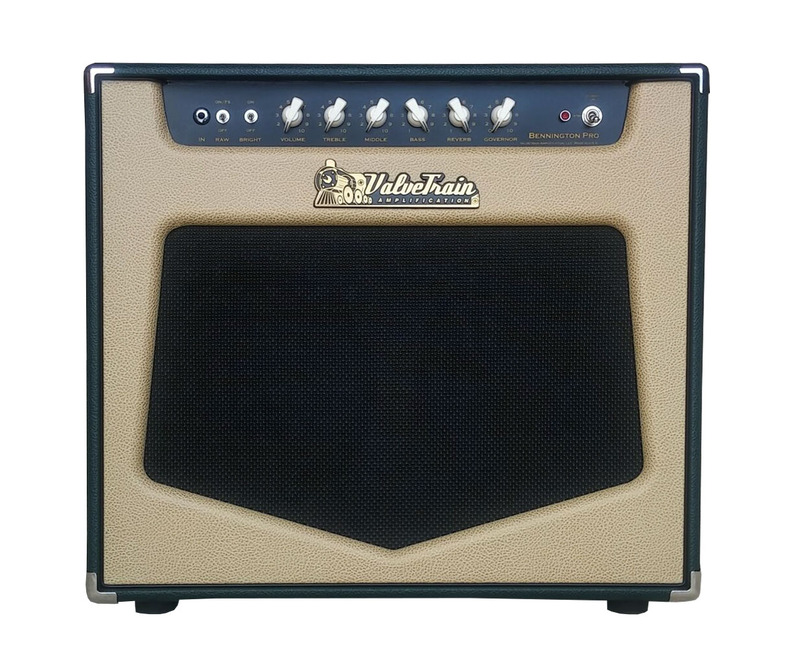 The ValveTrain voiced All Tube Spring Reverb is tuned so that the effect blooms behind the note while allowing for pick attack and note articulation while not overshadowing the true tone of what the player wants to hear. The reverb can be adjusted to provide a touch of ambiance to full out surf tones with its lush full sonic spectrum. This amp is great for home, studio or small venues. Put a microphone in front of it and the Bennington Pro will fill the largest of venues. All ValveTrain amplifiers continue to prove that high value and affordable hand wired production amplification is still built in America. 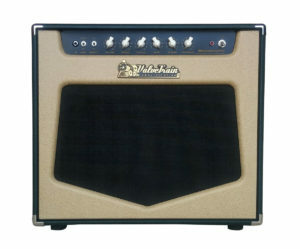 All of the major components including cabinet, transformers, speakers, board and chassis are proudly made in America. The amp is hand wired at our ValveTrain facility in Altamonte Springs, Florida. There are over 50 American small to medium size businesses in the supply chain behind every one of these amps.